The cottage is the lower level of our home. You have your own private entrance, lots of windows and natural light, comfortable beds, fully stocked kitchen, spacious family room with 55" 4K TV, cable and Netflix account, free WiFi, and smart home features for your convenience. Kalmar Cottage is fun, smart and artistic, featuring artwork made by Fell, a local artist. Here at Kalmar Cottage you'll be nestled in a quiet family neighborhood just below Corner Canyon recreation area, you have access to an abundance of activities including skiing, mountain biking, trail running, hang gliding, hiking, camping, fishing, boating, museums, and shopping outlets to name a few. Great eats as well! You'll be south of Salt Lake City and all that has to offer, but you'll find it hard to leave with so much to enjoy. We'll help you get acquainted with what you're interested in. Kalmar Cottage is a great place to visit again and again. Erik and I and our children moved here 8 years ago and fell in love with the Utah outdoors and most of all trail running. We love having the mountain trails in our backyard. If you ask we'd love to share some great places to hike, eat, ride, etc. to help you get the most from your visit. We're your hosts! The location is great with so much to offer in the area. The cottage is private, comfortable, and is easy to find. We've selected artwork from a local artist that is unique and really accents our love for Denmark, Sweden, and Utah. Location, location, location is why we love this property. Full kitchen with service for 6. The Kalmar Cottage was centrally located. Close to skiing, snow shoeing, shopping, and restaurants. The owners were nice and helpful with suggestions for outdoor activities. It's not actually a cottage but the downstairs area of their house. It seems to have been finished or remodeled recently and very clean. We enjoyed our stay. My wife and I stayed at the Kalmar Cottage for three nights. The space was simply wonderful and the Peterson's are indeed great hosts. We were visiting the area for a few days of skiing. The Cottage is about 30 minutes from Alta and Snowbird. Should we visit the area in the future, we will certainly check to see if we can stay here again. The kitchen includes everything necessary to cook full meals. The beds, bathroom and laundry spaces are all setup as you would want for your own guests at home. I would not change a thing. Anita responded quickly to any questions we had. The place was very clean, and the beds were very comfortable. It is spacious compared to any hotel suite. This will be my first choice for our next trip to the SLC area. Great location for our needs! 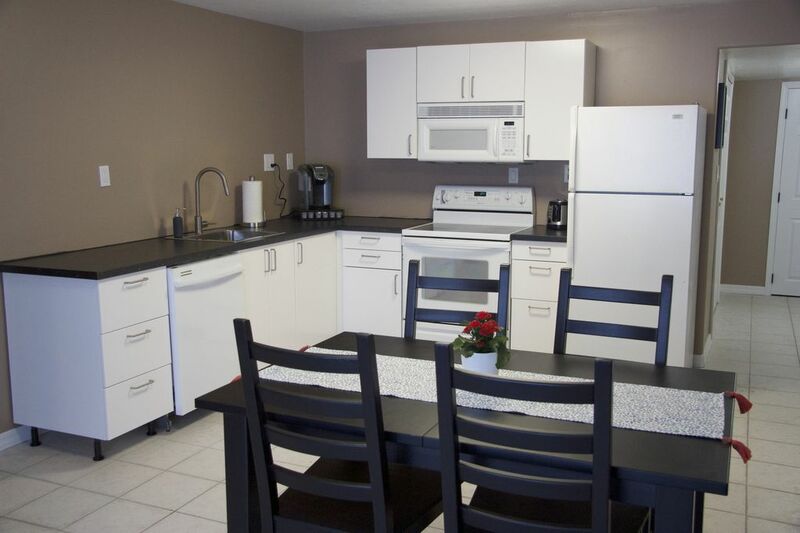 Very clean and has all that you need for your stay. Owners are very nice and helpful. We would use this place again. Thank you! Came with my son and daughter-in-law for a much anticipated ski weekend. This place was a perfect fit for our needs. Clean, comfortable, in a nice quiet neighborhood, and very convenient to the slopes (particularly Alta and Snowbird). Anita is a gracious host who made sure we had all that we needed and made us feel right at home. Will definitely rent this property again for our next ski trip. - Whew, that's good for now...just come visit and we'll help you get acquainted quickly.